Gold and silver are the oldest form of currency known to man, as people have been buying and trading it for thousands of years. Today is no different – there are plenty of people looking to invest and collect different forms of gold and silver bullion. In this demand, a market has existed to supply those investors and collectors with the products they are looking for. 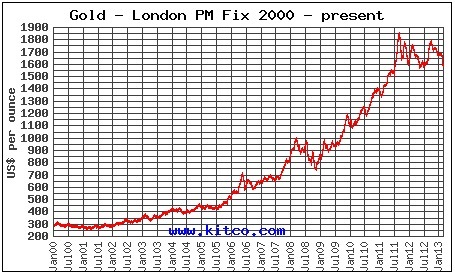 There are essentially two ways to go about buying gold and silver. One can either buy it online through a website or travel to their local gold and silver shop to interact in person. In the case of buying gold and silver one must consider several important points such as, credibility of the retailer, selection and price. An important advantage to buying gold and silver coins from a brick and mortar store is the face-to-face personalized service. When buying online the process can seem rote and impersonal. When a customer walks into a store he can make judgments about the credibility of the company he or she is purchasing from. Unlike buying online, by going to your local gold and silver dealer you can meet the people you will be dealing with. You can shake hands with the very people that will be walking you through your next purchase of gold and silver bullion. You can get a feel for their knowledge numismatology, study of the history of precious metal coins and bullion. You can exchange information and knowledge with a professional in the business of collecting and investing. This lends to the credibility and reliability of the gold and silver company you buy from. The customer can also get the opportunity to review the quality of the supply of gold and silver up close. You can see not just the inventory they stock but also the variety and quality of their product first hand. Online transactions can often be unclear in the representation of the physical gold or silver bullion that shows up at your door. Walking into a store allows the customer to hold the product in hand. They can make a judgment of quality and worth with the product physically right before them. However there are slight disadvantages to buying in a store versus online. There are cases where an online dealer has the ability and resources to sell a higher volume of coins and offer a larger selection of coins in terms of variety. Local stores may have large selections however in the technological age there is a clear advantage to the online dealer. They are able to reach a number of clientele outside of their immediate area and internationally. Another advantage to online dealers is they are often able to sell their gold and silver products for a cheaper, more competitive price. A local store has certain overhead and other fixed prices that control the price at which they sell their bullion, not to mention the fluctuations in the precious metal internal trading market. An online dealer is not bound by such fixed costs and can therefore be more competitive and true to market, in their pricing. In addition, with so many online dealers on the web the customer has the added benefit of competition. This drives prices down and means that dealers will be fairer in their pricing.